Glendo State Park is a great place to spend your time volunteering during the summer months. 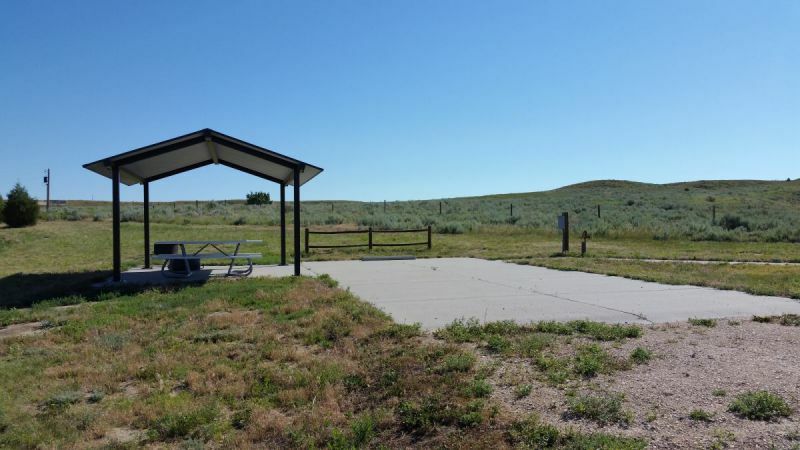 Glendo is one of the largest and busiest state parks in Wyoming with 568 designated campsites throughout the park. Glendo is best known for the amazing walleye fishing, recreational boating opportunities, 45+ miles of mountain bike trails, and excellent campgrounds. Camp hosting is the parks primary need for volunteers; however, volunteers are needed from time-to-time for special events like the Glendo Trails Festival. There are five camp host assignments available from May 15th through September 15th (dates are flexible). The camp host site in Two Moon Campground has a cement pad with water, electricity, and shade provided by the pine trees. Two Moon is the largest and most popular campground at Glendo State Park. The campground is located in a pine forest and overlooks the lake. Although there is no direct water access there are boat ramps at the Marina and Whiskey Gulch nearby. 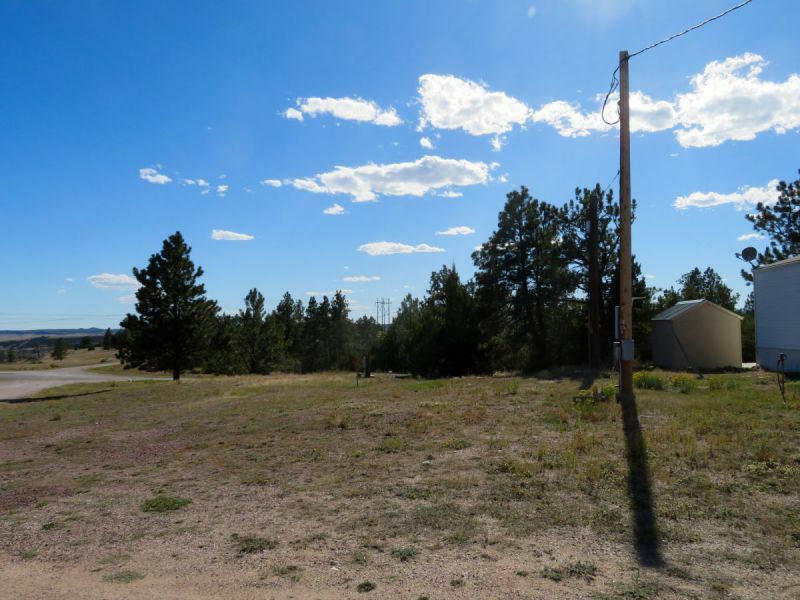 Two Moon Campground has a playground, mountain bike trails, a mountain bike pump track, two group picnic shelters, and a few campsites with electricity. The camp host in Two Moon is only responsible for Two Moon Campground. 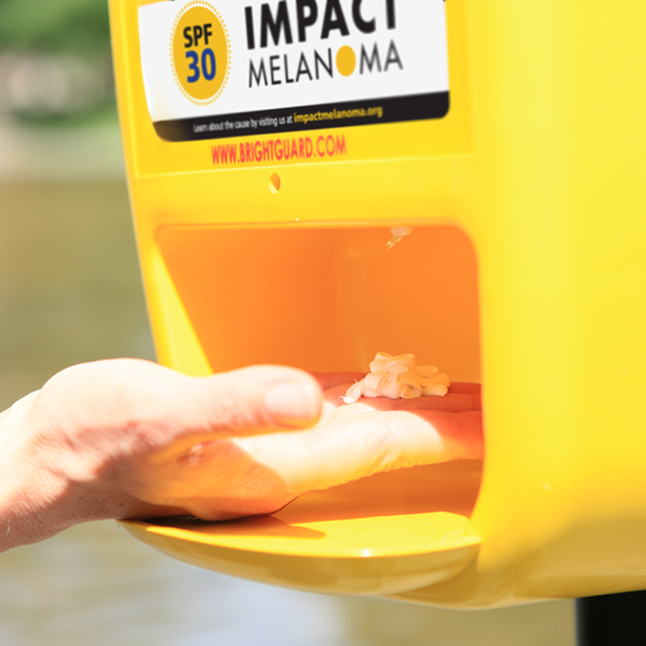 The camp host site at Sandy Beach has a cement pad with water, electricity, and a metal shade shelter that covers the picnic table. The camp host site is located in an open area with little to no shade available as are the majority of the campsites on the reservation system. The majority of the first-come-first-serve campsites are shaded by cottonwood trees near the beach. 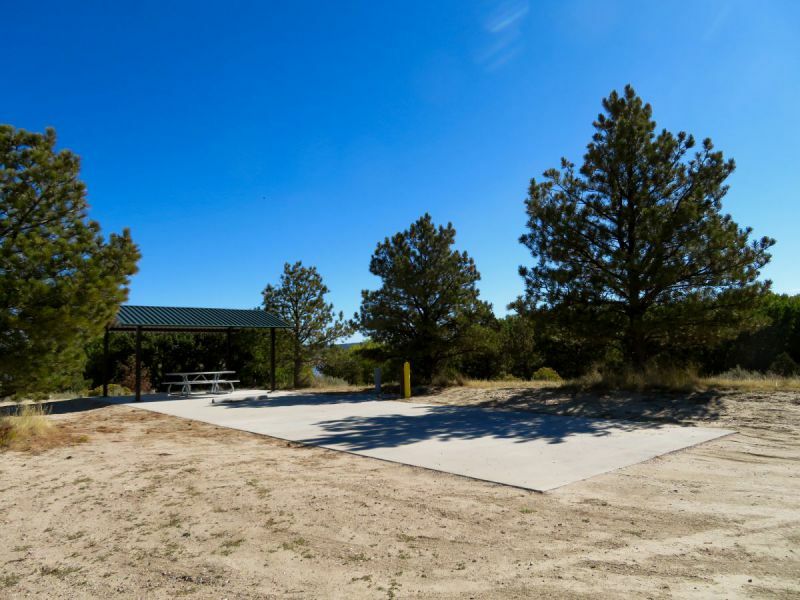 Sandy Beach Campground is known for the amazing beaches that stretch along the edge of the cottonwood trees and is a very popular campground in July and August. The camp host at Sandy Beach is responsible for Dune, Willow, Cottonwood, Indian Point, Broken Arrow, Burnt Wagon, and Muddy Bay campgrounds; however, the majority of their time is spent in Dune, Willow, and Cottonwood campgrounds closer to the beaches. 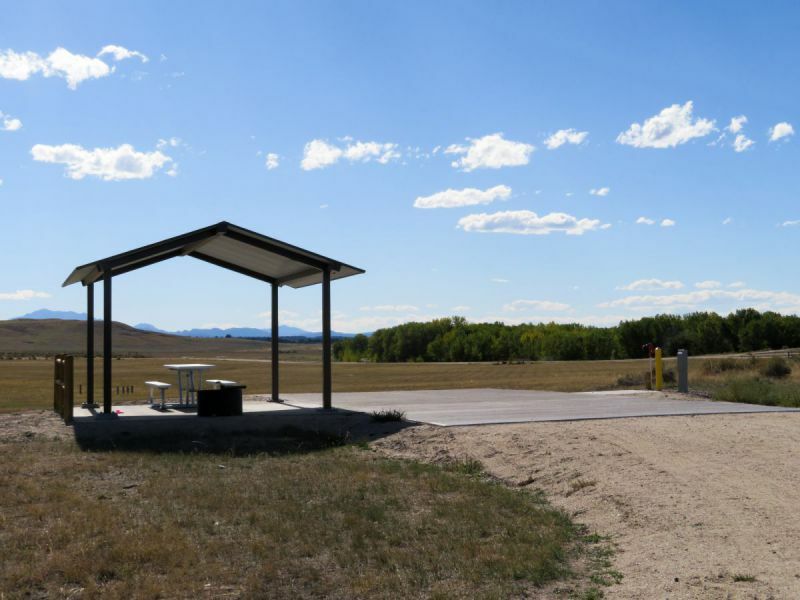 The camp host site at Bennett Hill was built in 2017 and has a cement pad with water, electricity, and a metal shade shelter that covers the picnic table. Bennett Hill Campground was expanded in 2017 to provide additional campsites, including several group camping sites, near the Bennett Hill boat ramp and fish cleaning station (new 2017). May through mid-July Bennett Hill is very popular with walleye fisherman. The camp host at Bennett Hill is primarily responsible for Bennett Hill Campground (44 campsites); however, they will also assist with the general upkeep of all the other campsites along Lakeshore Drive including Waters Point, Red Hills, Reno Cove, Soldier Rock, Custer Cove and Colter Bay. 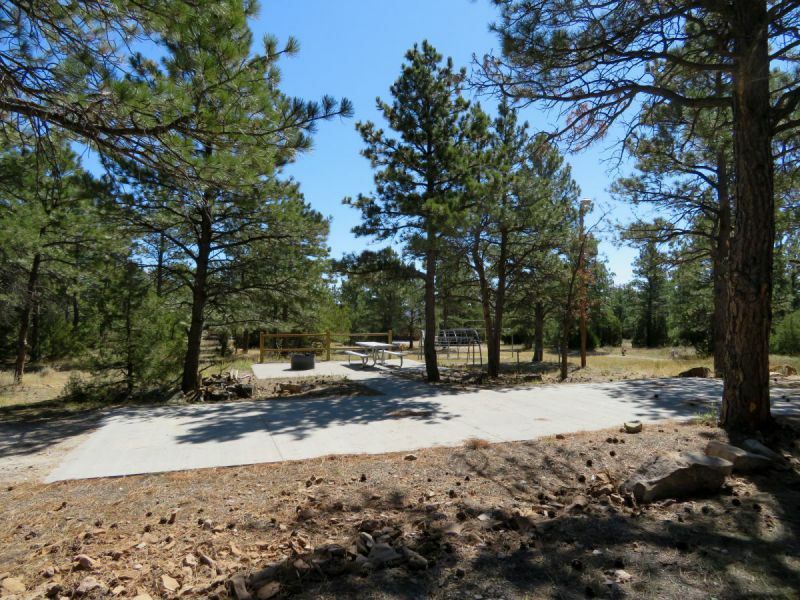 The camp host site at Whiskey Gulch was built in 2017 and has a cement pad with water, electricity, a metal shade shelter that covers the picnic table, and some medium-sized pine trees that provide shade. This assignment will be responsible for all the first-come-first-serve campsites in Shelter Point, Sagebrush, Whiskey Gulch, and Mule Hill Campgrounds. These campgrounds are very popular when the water level is higher in the reservoir and the boat ramp at Whiskey Gulch is open for fisherman and recreational boating. The last position that we fill is the rover position from the park headquarters. The camp host site is a gravel pad with water, electrical, and sewer. No shade is available at this location. The rover will help with assignments parkwide and will cover shifts for the other camp host when they need to leave the park for a few days. The camp host assigned to Two Moon, Sandy Beach, Bennett Hill, and Whiskey Gulch will be provided with Polaris side-by-side utility vehicles that they can use to perform their responsibilities. A trailered honeywagon is available for all camp host to use to evacuate their black and grey water tanks. We are open! Please view our hours below to find a good time to visit! Copyright © 2019. Wyoming State Parks, Historic Sites, & Trails.